What is Start Pageing 123? Start Pageing 123 is called a redirect, or a browser hijacker, by specialists. It is not considered a reputable search provider because it sets itself up on all browsers and does not even need approval from users to do that. Also, it has been found that it is full of commercial advertisements. As a consequence, it is believed that this website has been created to generate money for the developer and not to make it easier for users to find information on the web by any means. It is up to you whether or not to keep such a questionable search provider set on browsers, but you should be aware of the fact that Start Pageing 123 might be quite dangerous, so going to set another reliable search tool after implementing the full Start Pageing 123 removal is highly recommended. Users who do not think that they could take care of Start Pageing 123 themselves should read all the paragraphs that follow to find more information about the Start Pageing 123 removal. We hope it will be easier for you to delete Start Pageing 123 after reading the information provided in this article. What does Start Pageing 123 do? Since Start Pageing 123 is a browser hijacker, or a redirect, users first find it set on their web browsers. It tends to change both homepages and default search engines on all browsers. Then, it starts displaying commercials for users. They can find them placed on the main page of Start Pageing 123, or they can locate them on the search results page. It should be noted that it is not so easy to recognize those commercials on the search results page because they look like ordinary search results. Only after clicking on them users realize that something went wrong because they end up on pages which do not contain a piece of information associated with the entered search query. Some of these pages might even be harmful. They might contain malicious software which might sneak onto the computer the second such a website is opened and a user is redirected to it. You will always risk ending up on such pages unless you go to delete Start Pageing 123. Therefore, you should not let this website stay on your browsers any longer. Why do I see Start Pageing 123 on browsers? Like similar browser hijackers, Start Pageing 123 comes bundled with free software available for download on third-party websites. Unfortunately, these software bundles do not inform users clearly that additional software, i.e. 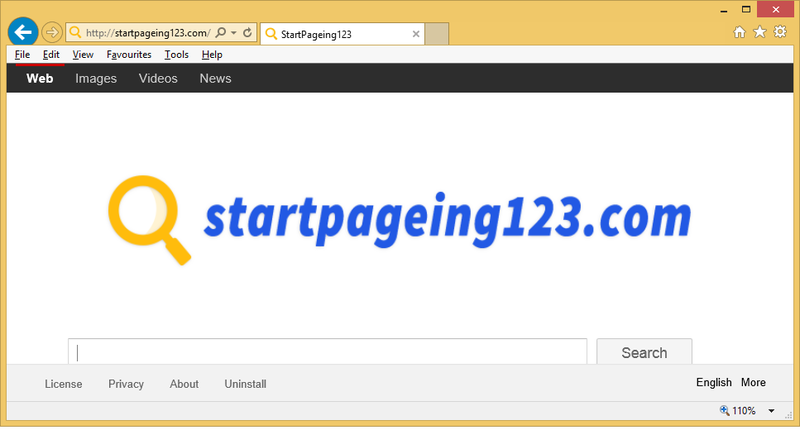 the Start Pageing 123 browser hijacker, is going to be installed and, consequently, they cannot cancel its installation. Choose the Advanced installation option the next time to see a list of all programs that are going to be installed on your PC. On top of that, install a legitimate anti-malware or anti-spyware application for protecting your computer from malware. How do I uninstall Start Pageing 123? It is not so easy to remove Start Pageing 123 from browsers because this browser hijacker is not an ordinary computer application that can be deleted in an ordinary way. Therefore, it is highly recommended to remove Start Pageing 123 from all web browsers automatically, i.e. scanning the computer with an automatic undesirable software remover.